As Information and Communication Technologies (ICTs) rapidly penetrate all regions of the world, children’s experiences are increasingly informed by the use of these technologies. Global concern is coalescing around the need to understand how to reduce the risk of harm children face online while maximizing their opportunities for learning, participation and creativity. It is important that the ways young people use the internet are considered when online technologies, networks, services and policies are developed; however, there is still insufficient robust evidence from most middle and lower income countries on how internet use impacts children’s well-being and what risks and opportunities they encounter online. To meet this need for evidence, UNICEF Office of Research - Innocenti coordinates and facilitates cross-national research on children’s internet use in the global South. The Global Kids Online network was created in order to develop a research toolkit and central coordination of resources and expertise to support national partners in generating and sustaining a rigorous evidence base. The project is conducted in partnership with the London School of Economics and Political Science and the EU Kids Online network, as well as in collaboration with a number of researchers and experts from different parts of the world. The purpose of the project is to enable researchers globally to gather evidence to understand how children’s rights are being enhanced or undermined in the digital age and to provide a base for cross-national comparisons. The Global Kids Online research toolkit and more information is available at www.globalkidsonline.net. As of 2017, UNICEF country offices and academic partners have collected data from nearly 10,000 children and 5,000 parents across four continents, supported by Global Kids Online methodology. Additional national projects are planned for 2018. UNICEF Office of Research - Innocenti also contributes to internet governance debates and processes by publishing research related to national and international internet related policies affecting children. We provide expertise related to children’s engagement with the internet and online games, and contribute to discussions around excessive use of technology and the impact of technology on mental health. Increasingly, we also focus our attention on issues around children’s right to privacy online and on improving considerations for children’s rights in data protection regulation. Research is invaluable for contextualising online experiences in relation to children’s and families’ lives and the wider cultural or national circumstances. 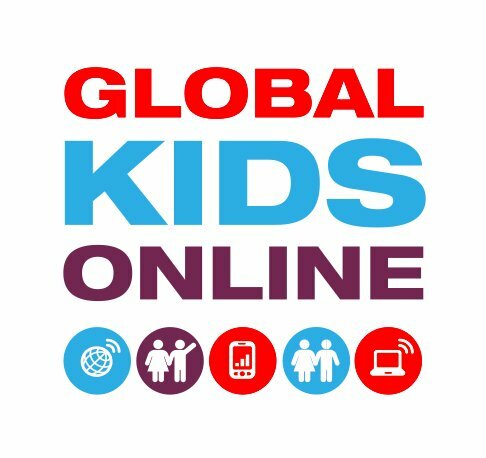 The Global Kids Online project aims to connect evidence with the ongoing international dialogue regarding policy and practical solutions for children’s well-being and rights in the digital age, especially in countries where the internet is only recently reaching the mass market. This paper argues that Internet governance bodies give little consideration to children’s rights, despite growing calls from international child rights organizations to address their rights in the digital age. Children have specific needs and rights and these are not met by current governance regimes for the Internet. As Internet use rises in developing countries, international Internet governance organizations face a key challenge in shaping the emerging models of best practice. For some years, UNICEF has been researching children’s online risk and safety, promoting digital citizenship, and conducting both programmes for awareness-raising among children and for communication for development through the use of ICT.